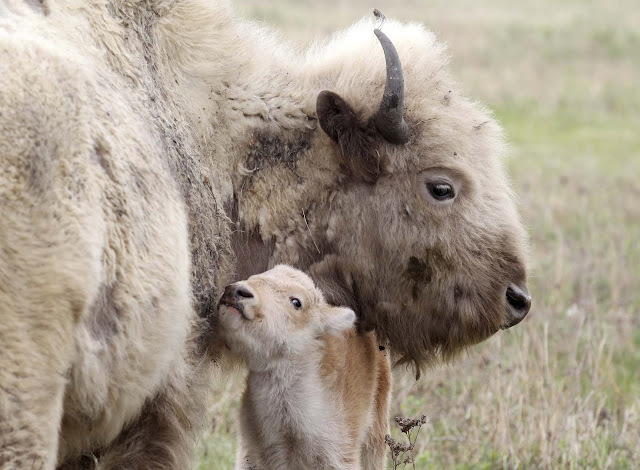 "To have another white buffalo calf that’s born is more of a signal to us that not only is our culture and people surviving, but thriving," the chief said. The community welcomed a rare, white male buffalo calf on May. 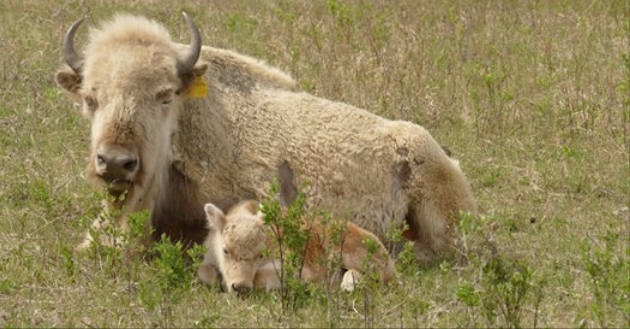 The calf's mother, also a white a buffalo, was born at Winnipeg's Assiniboine Park in 2009 and gifted to the community's herd because of its significance through the generations. "The significance of the white buffalo is that... we received all of our teachings and our culture and our ceremonies were given through the white buffalo calf woman," said Sioux Valley Chief Vince Tacan. "We have a lot of people in the community that they follow the beliefs." "That [the white buffalo] signals the start of our culture and our beliefs and our ceremonies," he added. "It's really important to us." Tacan said he knew they were dealing with something special once he saw the calf, but didn't go out of his way to tell everyone. Tacan is one of the caretakers of the community's herd. 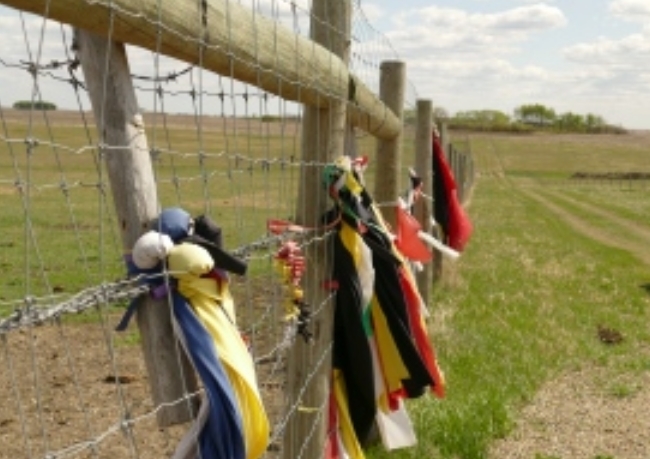 Since the birth, people have been coming from as far as the United States to see the baby buffalo and leave tobacco offerings wrapped in colourful ribbons and pouches that now line the fence along the buffalo's enclosure. "It's up to you [community members] to come to the buffalo and put out your offerings," he added. Tacan said he wasn't sure the odds are of the white buffalo being born, but it's the first one the community's herd has seen since his mother was welcomed into the herd more than six years ago. He said the community has had requests to bring the buffalo out and put it on display at fairs and other events, but the community is opting to keep it in the pasture instead. "I don't think we'd want to display her [the mother] in that sort of way," said Tacan. "It's a sacred animal... If you want to see it you'd have to come out here." "We're trying to work in a respectful way." Tacan said the buffalo right now are used as a teaching opportunity for the community while they build the herd's numbers up, but might look at some sort of commercial operation down the road. "The buffalo were important in the past and we hope they'll be important in the future coming up," he said. UPDATE: “Six years ago when I became chief I basically inherited a mess. The finances were in bad shape and a lot of aspects of the reserve were struggling. I noticed that when the buffalo came in things began to improve and I really do believe that something is going on here,” Vincent Tacan, chief of Sioux Valley Dakota Nation said. “Our debt has been cleared up, we have a better relationship with our surrounding neighbours, we are starting to educate our people on and off the reserve, there are cross-cultural exchanges happening, and we have been able to start a significant economic development project. Responses to "A Rare White Bison Was Born Into A Herd Belonging To The Sioux Valley Dakota Nation"
Another was born this month in PA. The last few years have been busy with these births. The signs couldn't be more obvious. All the other white animals lately also. Time to get our act together, guys. We will be leading people soon. Please respect the beliefs and respect nature and leave these precious animals alone. They were not born for the entertainment of man but are sacred. If Baby Jesus were alive here would he be put on display like we do at Xmas? Hopefully the answer is no. Such a beautiful Bison & calf. My heart is full of love. I bet we can expect more of these sacred signs thru more births. Thank you Great Spirit. Let's all be respectful and joyful about this birth! Blessed be the birth of the baby white buffalo! May it grow strong and be the proud father of many more generations to come. And may all colors walk together in the peace that this sign brings! Leave them in their environment, where they belong, and the people that respect them. Thank you! Please keep a guard on this little one and the mother. With all going on with the pipeline protest, evil people might harm them to demoralize the protesters.